Michigan Man Will Stand Trial For Porch Shooting : The Two-Way The case has put race relations in the spotlight once again. 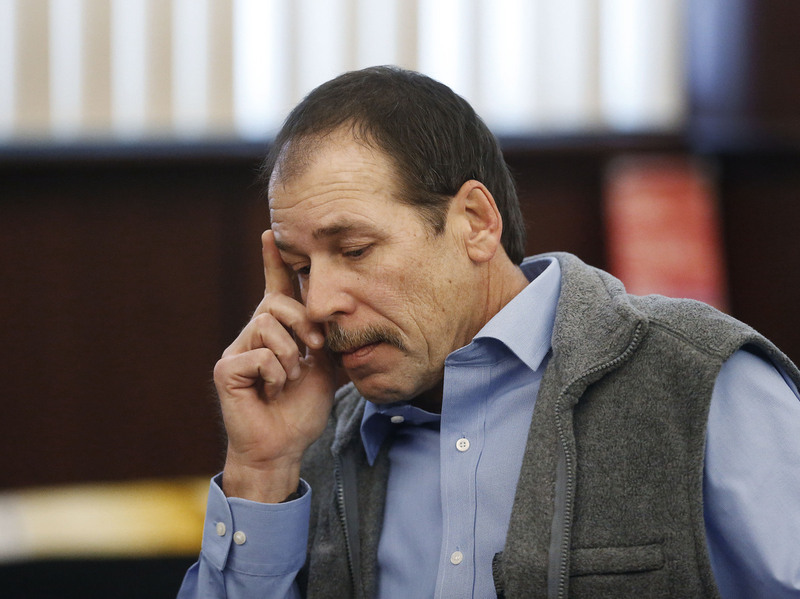 Theodore Wafer of suburban Dearborn Heights has been charged with second-degree murder in the death of Renisha McBride. The African-American teen knocked on Wafer's door late one night. He says the shooting was an accident. Theodore Wafer, who will be tried for second-degree murder. A case that put race relations in the spotlight once again — the shooting death of a 19-year-old African-American girl from Detroit on the porch of a white man's home in suburban Dearborn Heights — will be going to court. "Theodore Wafer, the 54-year-old homeowner, charged with fatally shooting 19-year-old Detroit teen Renisha McBride last month as she stood on his front porch, has been bound over for trial in the case." As we wrote last month, "the case has raised racial tensions in Detroit, where a nearly two-week delay in charging Wafer had brought protests. It has also echoed some of the elements of the Trayvon Martin case, in which an unarmed black teenager was shot and killed by a white man in Florida." Wafer has said the Nov. 2 shooting was an accident. McBride's family and their supporters say she may have been looking for help after being involved in a traffic accident nearby. The medical examiner has testified that the young woman had alcohol and traces of marijuana in her system. According to the News, Wafer's next court day is Jan. 15. The preliminary hearing that wrapped up Thursday was "to determine whether there was enough evidence to bound Wafer over to stand trial in the case and involved 10 witnesses, including police officers, forensic experts and two women who assisted McBride following a single-car accident on Brammell Street near Warren, about a mile away from Wafer's home on West Outer Drive near Warren."